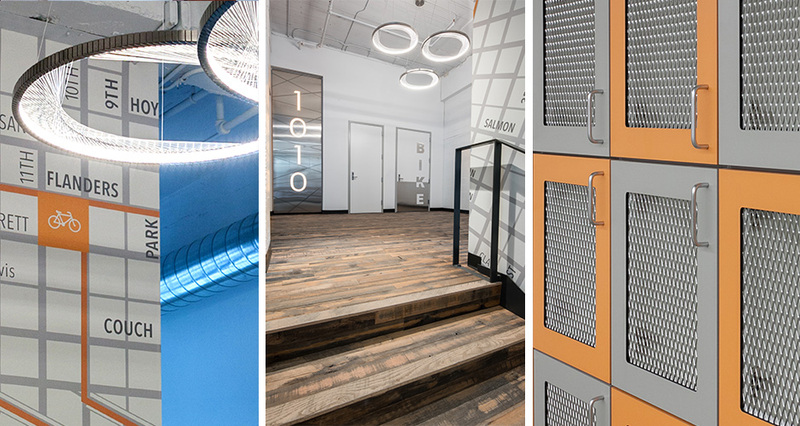 The 1010 Flanders project, a core and shell renovation in Portland’s Pearl District, transformed a historic building into a mixed-use hub with a new set of tenant amenities. Formerly called the Ballou & Wright Company Building, the property was constructed in 1921 as a warehouse and manufacturing facility for bicycle, motorcycle, and automobile parts. It’s listed on the US National Register of Historic Places, and designated as a Historic Landmark by the Portland Historic Landmarks Commission, underlining and codifying the importance of its preservation. Working carefully within the city planning and building code framework, Mackenzie updated and repositioned the building while respecting its historic character. The ground floor features retailer Hanna Andersson, the Portland-based purveyor of organic children clothes. The new lobby, which leads to the creative office floors above, presents an accessible and inviting street level entry. 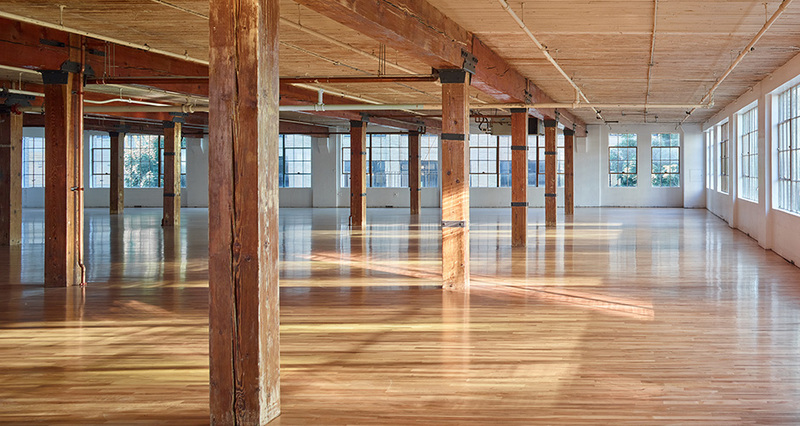 Inside, an open floor plan embraces flexible workplace practices, while the space reflects its past with exposed timber ceilings, refinished floors, and large operable windows. 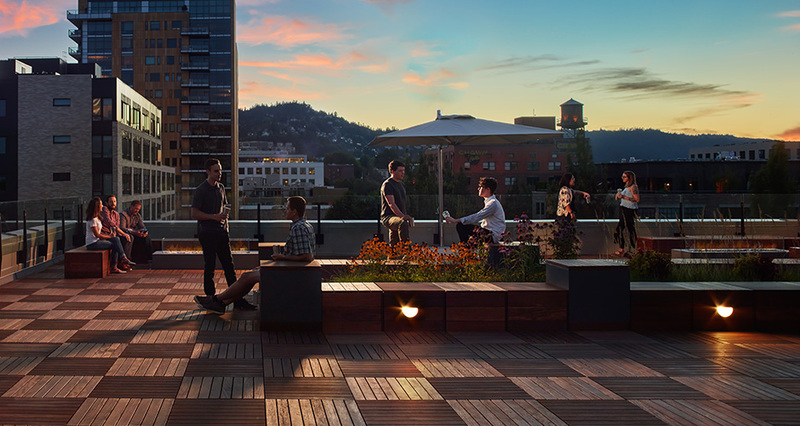 Topping the building is a new 1,500 SF rooftop deck with panoramic views, providing a unique gathering space for tenants, and an atmospheric connection to the surrounding neighborhood. Bike commuters are an important and growing constituency in central Portland, so as part of the design process, Mackenzie convened a bicyclist focus group to gather feedback on features and bike-centered amenities. The automatic opening doors have extra clearance to allow for plenty of space for people bringing their bikes in; rubber stair treads provide grip for and balance for bike cleats; showers, dedicated changing rooms, and storage cubbies cater to bicyclists; and there is a bike repair and wash station stocked with tools. 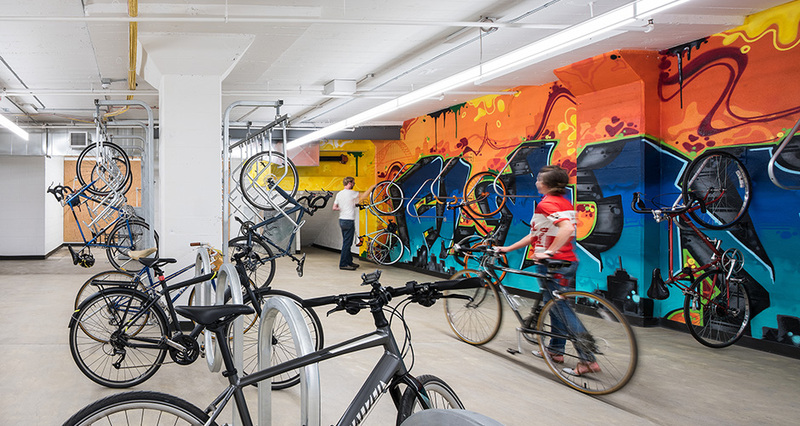 There are 85 secure bike parking spaces (resulting in a high bike parking ratio), with a range of different stalls to accommodate different types of bicycles, including cargo bikes. 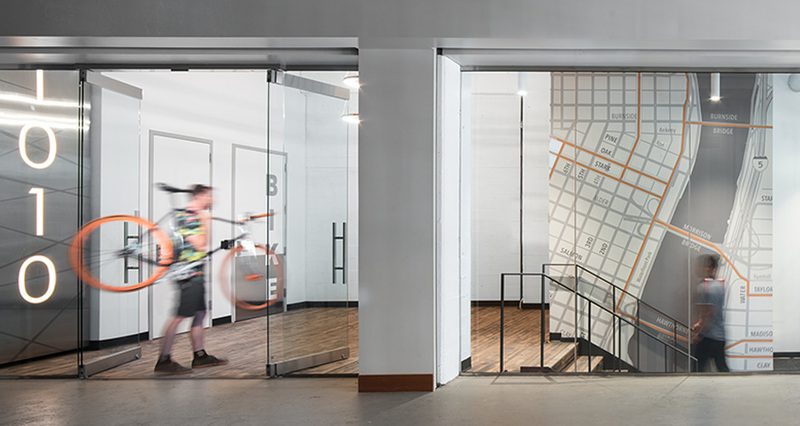 The close attention paid to bicyclists bridges the building’s industrial past, and the inhabitants of its future.